A proposed bill discourages the switch to lower-risk nicotine delivery methods. Nicotine is addictive, and smoking cigarettes can be harmful to your health. So far, I'm not telling you anything you don't already know. But what if there were safer ways of delivering nicotine to those who want it? In fact, as you may also know, by all accounts, there are safer nicotine delivery methods. They're not entirely without risk, but as far as we can tell, they are much safer than conventional cigarettes. Yet judging from a bill passed by the Senate that is awaiting adoption by the House of Commons, the Canadian government doesn't seem to want consumers to know about such alternatives. According to David Sweanor of the University of Ottawa's Centre for Health Law, Policy and Ethics, if Bill S-5 to amend Canada's Tobacco Act is adopted, it will "make it illegal for a company to tell smokers that lower-risk products are, well, lower risk." Take electronic cigarettes, for instance. 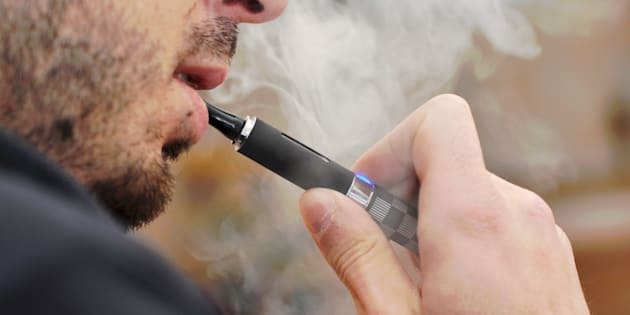 While still fairly new, a 2015 report produced by Public Health England states that according to the best available evidence, "e-cigarette use is around 95 per cent less harmful to health than smoking." Former Minister of Health Jane Philpott at a press conference to announce new legislation about legalizing marijuana in Montreal, Que. on April 13, 2017. Dr. Lila Abassi of the American Council on Science and Health agrees, writing recently that "e-cigarettes are much less toxic than combustible cigarettes." And as she adds, a new study published in the journal Addictive Behaviors shows, unsurprisingly, that using e-cigarettes can help people quit smoking. Another, even newer product is IQOS (I-Quit-Ordinary-Smoking), a heat-not-burn cigarette that delivers a high level of nicotine without combustion. Tobacco is heated to produce an aerosol, thus reducing the consumption of many carcinogenic components found in cigarette smoke. Or consider snus, a much older product, but one which is unfamiliar in Canada. Snus is a moist-powder tobacco product that is placed under the upper lip. It is quite popular among men — but not women — in Sweden. The interesting thing, according to a 2014 study of WHO data, is that Swedish men have much lower tobacco-related mortality than men in other European countries. Swedish women, on the other hand, show levels similar to the European average. When all is said and done, the choice remains the consumer's. Isn't it better for that choice to be an informed one? This study "supports the assumption that the use of snus among Swedish men has yielded substantial public health benefits" by helping to make their level of tobacco-related mortality the lowest in Europe. Whether it's e-cigarettes, heat-not-burn tobacco, snus, or some other product, why not let companies inform consumers about these considerably less risky alternatives? We wouldn't want them to claim that such products are completely safe, because they're not. But why prevent companies from simply telling the truth? It's hard to see what this accomplishes besides having people who want nicotine keep smoking cigarettes instead of switching to safer options. Underlying the desire to restrict the ability of companies to inform potential consumers is a belief that advertising actually creates a demand for a product. Regulating or banning advertising is therefore seen as a way to reduce the consumption of certain products like tobacco, alcohol, or fast food which are associated with health risks. Nowadays, not even Tony the Tiger is safe! And SUV advertising may be next on the hit list, if certain commentators have their way. But empirical research shows that regulating advertising in the hope of discouraging certain consumption habits is generally ineffective. For instance, despite a ban on beer ads in Manitoba in the 1970s, consumption increased by 4.5 per cent, around the same increase seen in Alberta, where beer ads remained legal. Advertising informs people about the choices available to them, or about the characteristics of certain products. But when all is said and done, the choice remains the consumer's. Isn't it better for that choice to be an informed one? Of course, some people would like to see tobacco companies shut down entirely, and nicotine simply outlawed, individual preferences be damned. Adults who believe in freedom, dignity, and personal responsibility should resist such authoritarian overreach. The proposed federal Bill S-5 — not to mention Quebec's existing Bill 44, which treats e-cigarettes the same as combustible cigarettes — discourages the switch to safer nicotine delivery methods. To help reduce tobacco-related mortality, we should help consumers learn about all of their options instead of putting up smokescreens to keep them in the dark.